Situated behind a semi-detached terrace house in Beehive Lane, Chelmsford, this garden measured 22m long by just 7m wide and ended in a point. 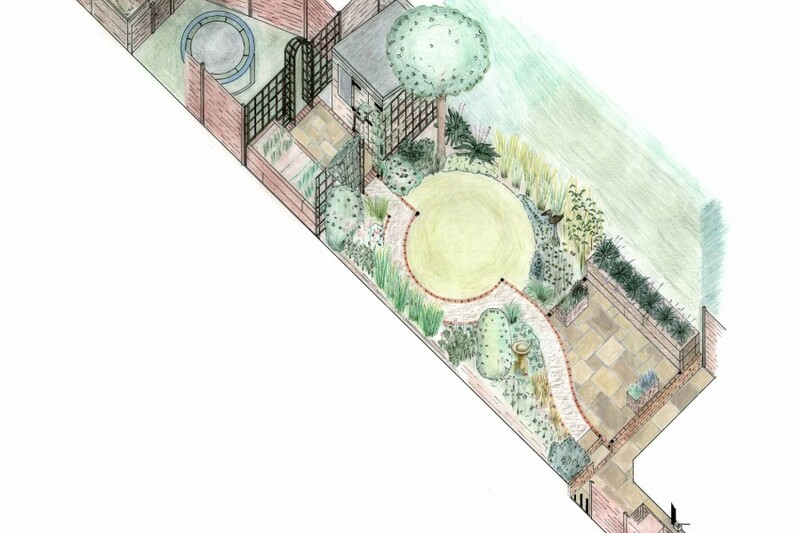 The clients have young children and were therefore looking for a family friendly and safe garden. A raised bed was added opposite the shed, made from sleepers and trellis was erected on both sides, thus making a self contained work zone which also contained a compost area. 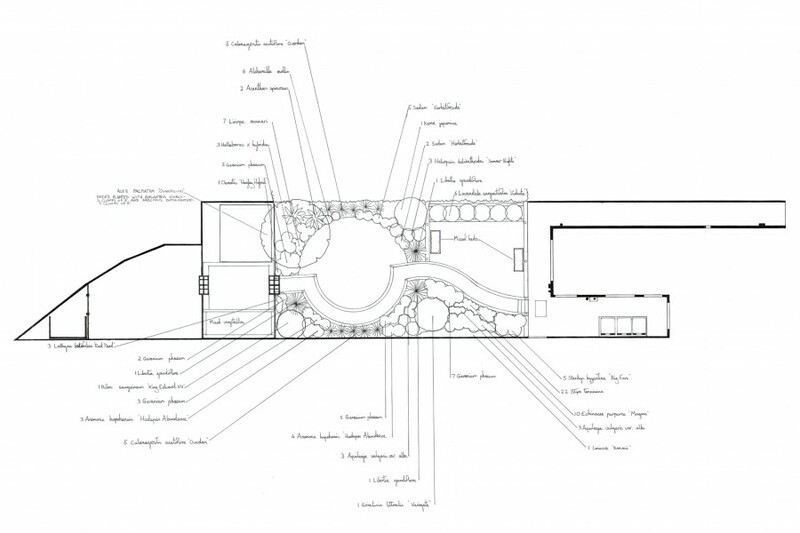 A children’s play area was added along with a large patio to form the entertaining area. 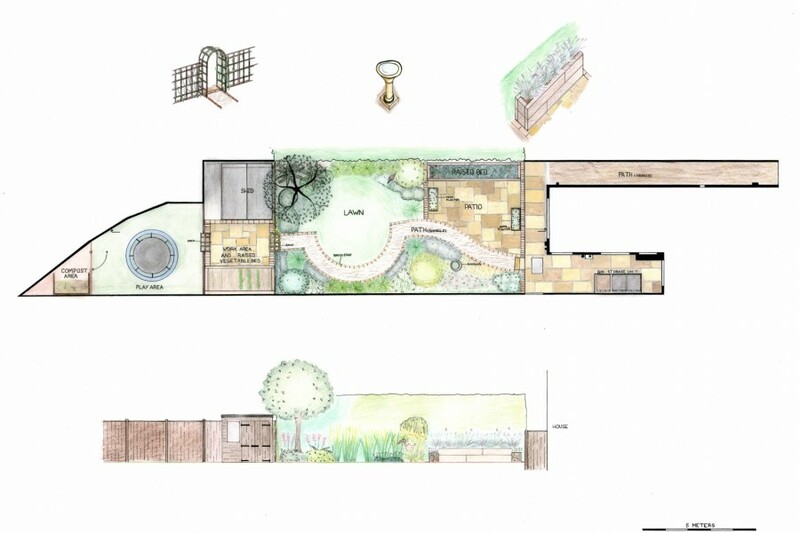 Entertainment space for up to 10 -12 people along with a lawn for the children to play on. The garden shed was already in-situ and so needed to be hidden. A small area for growing vegetables.